October 25th: I have a great post coming for you all but it’s going to have to wait as I have a raging migraine right now and I just cannot bang out this post tonight. I’ll have a full post all sparkly and new to accompany the photos up top, so in the meantime, admire some of these yummy bakery goods in Bloor West Village while I recuperate! October 26th: Gooood morning everyone! It’s still gross and rainy out (with the way the whether has been for weeks I can’t tell I’m still in Toronto or if some kind of geographical vortex has turned us into Vancouver or London, England. Sigh. ), but I am feeling MUCH better and the migraine has left the building – for now anyway. Let it be known that overcast and rainy weather do not do good things to my head and brain and I’ve been lucky this fall so far because last night’s migraine was the first major one of the season. I’m well-rested though and I’m here to give you guys a fabulous, yummy post! 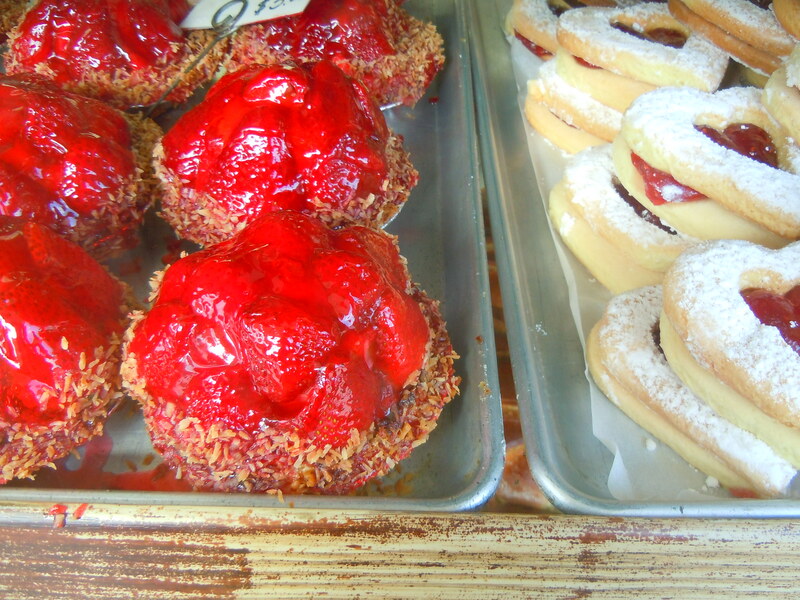 Introducing yet another amazing foodie village and neighbourhood: Bloor West Village! The very first time I explored Bloor West Village was about a year and a half ago. 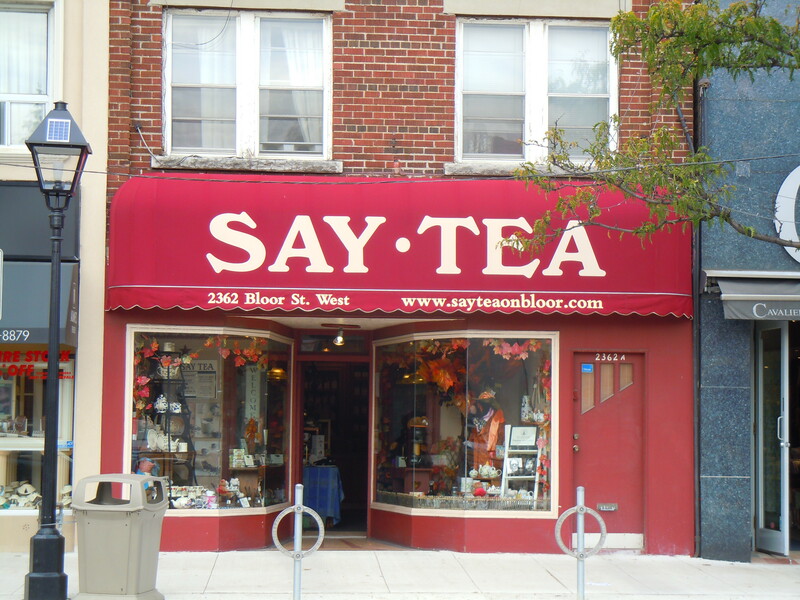 I remembering reading about it in a pamphlet featuring some of Toronto’s popular shopping and strolling destinations, and hearing about it from some friends. I remember having some breakfast at the Sunset Grill location in the area and spending the entire afternoon walking around afterward. I loved the area and could mosey along day after day, week after week, without ever getting bored. There are SO many foodie options! There are tea shops (including my beloved David’s Tea), brunch spots, Eastern European deli and hot food shops, and even a gourmet burger pub to boot! Yellow Griffin Pub and its 30+ burger options (all of which can be served on meat or veggie) are calling my name. Every time I come here, I always feel like I can never get enough and that’s how I feel about many of the areas in the city. I absorb as much as I can, but there’s always something that I can’t get to, something I didn’t get a chance to see, or just something I missed entirely. For the food alone, I’ll be coming back for months, and even years, to come. Sandwiched between Runnymede Road and Jane St. (and their respective subway stations), Bloor West Village is, in my opinion, very similar to Roncesvalles in the best ways possible. First off, the neighbourhood is extremely walkable. Like many areas in downtown Toronto, you’re looking at shop after shop after shop. There are no large gaps between establishments, you don’t have to worry about being in the middle of abandoned industrial nowhere (it’s a little unnerving! ), public transit is very accessible should you need to use it, and walking around is the easiest thing ever because the neighbourhood mainly runs on in an East-West/West-East direction and there is so much to see. 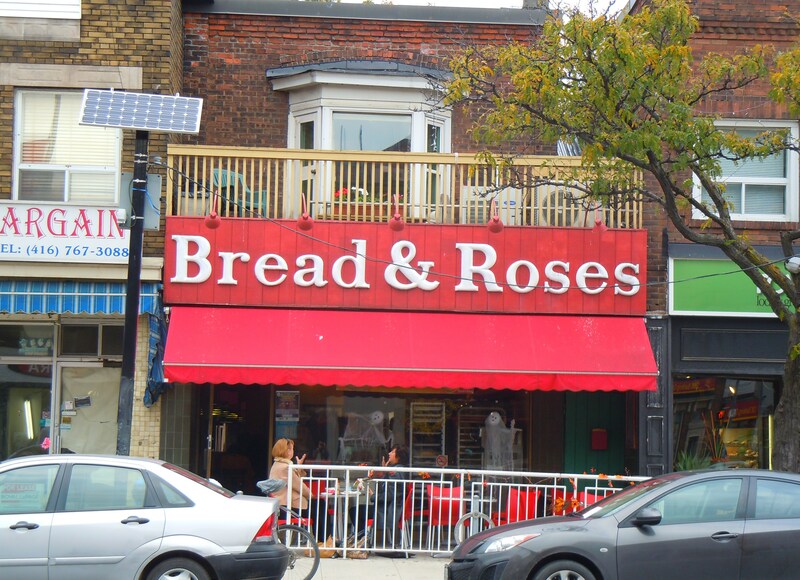 Second, both Roncesvalles and Bloor West Village are known for their Eastern European communities, culture, and food, specifically Polish and Ukrainian respectively. Thus, many of the businesses in the area cater to, and are owned and run by these ethnic groups. 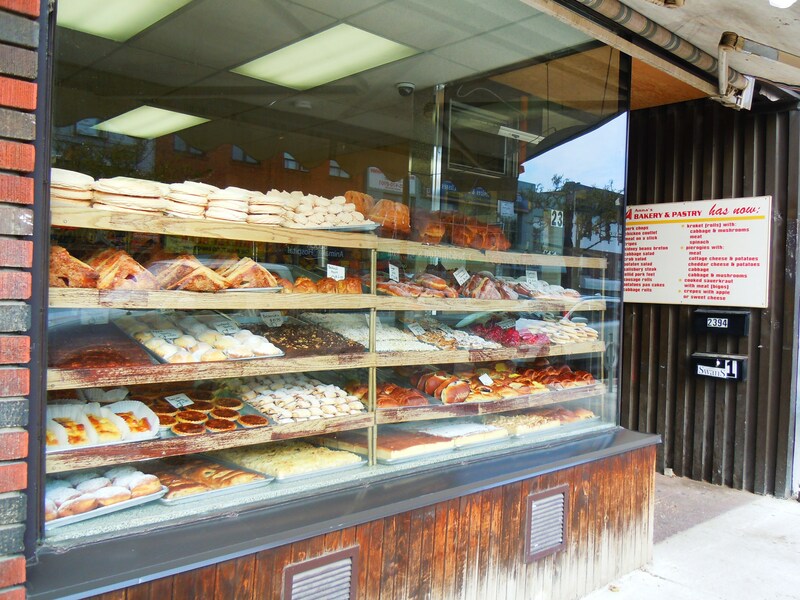 Finally, the most striking similarity between Roncesvalles and Bloor West Village is the sheer volume of bakeries! I can’t get over the number of shops that have bread and pastries and baked goods coming out of their rooftops! 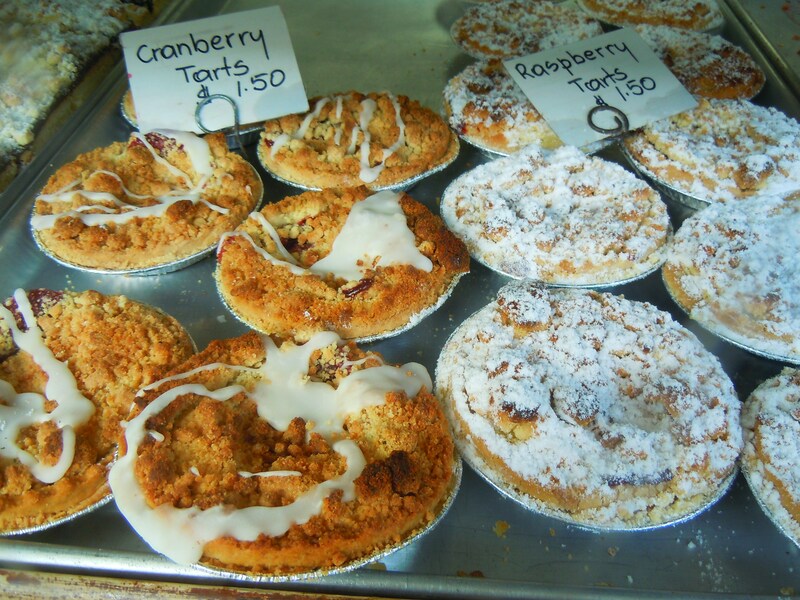 Off the top of my head, bakeries include Hot Oven Bakery, Sweet Flour Bake Shop, Bread and Roses Bakery Cafe, Max’s Market, and one of my favourites, Anna’s Bakery & Deli! 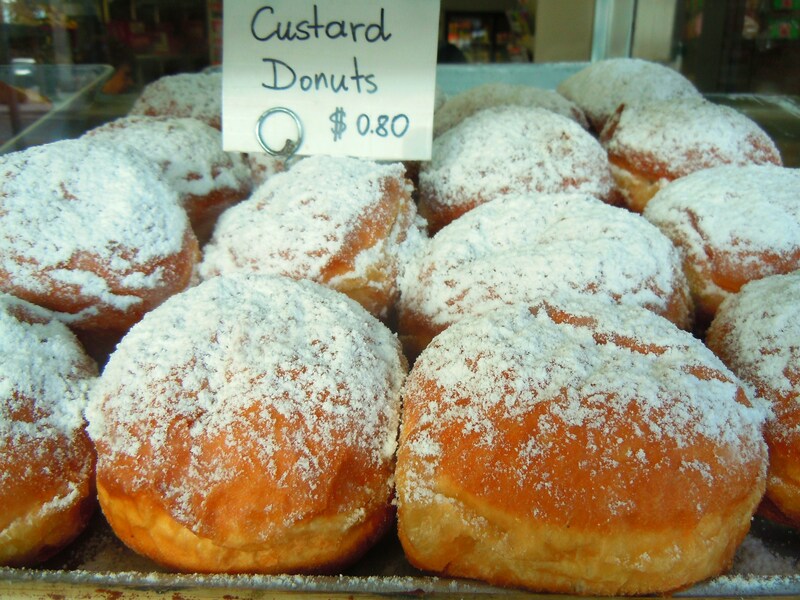 Now, since I haven’t eaten my way through the bakery or any of the bakeries for that matter, this post is primarily a photocentric post just to show you all what the neighbourhood has to the offer and what my favourite bakery has to nosh on! My favourite thing about Anna’s Bakery & Deli is the storefront. By golly do they ever know about to entice people! Just look at it – I could die. Rows and rows full of giant and mini meringues, bundt cakes, fruit turnovers, loaves of bread, custard donuts, sugar twist donuts, shortbread cookies, danishes, fudge brownies, hazelnut squares, date squares, pecan tarts, fruit tarts including apple, cranberry, and raspberry with powdered sugar and streusel crumble topping oh my god, and giant strawberry tarts among a bajillion other sweet eats. It’s any wonder why I didn’t go in and grab one of everything. I don’t even know how my mum is going to react when I eventually bring her here. She’s never been in the area before and she loves bakeries even more than I do, especially ones with bread in them. Her bread obsession is through the roof and because of me, she drools over pastries even more than she used to. 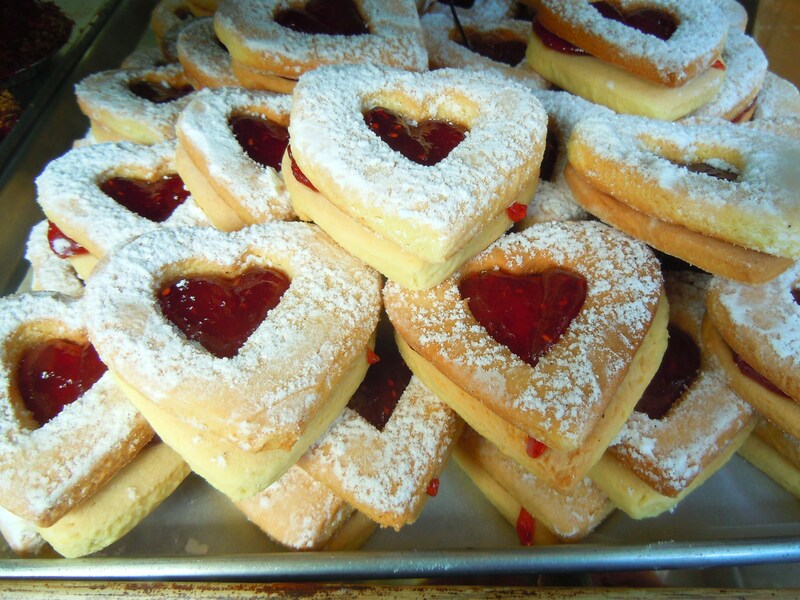 If it was up to her, we’d bring the bakery home with us. 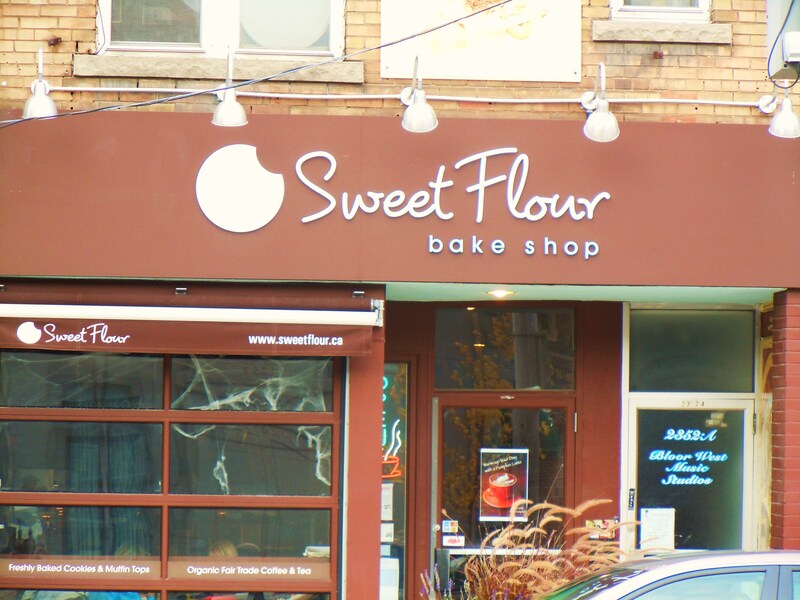 And if I’m bringing her to Bloor West Village, we’ll have at least five bakeries coming home with us. 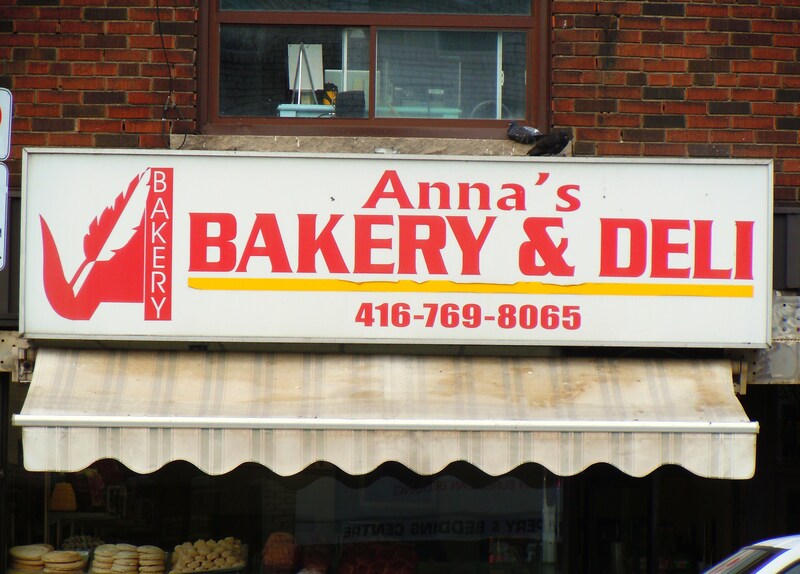 Anna’s Bakery & Deli is located at 2394 Bloor Street West in Bloor West Village. 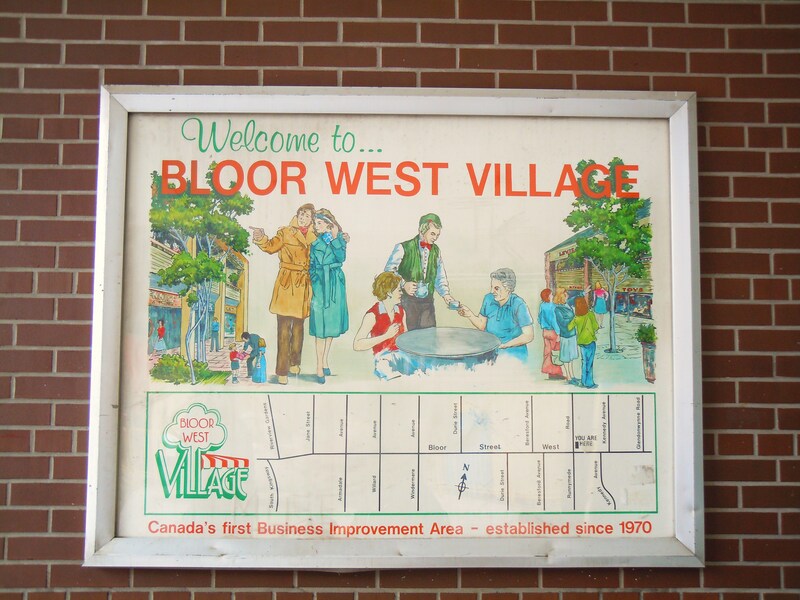 Bloor West Village can be accessed using public transit via the Runnymede and Jane subway stations, or any of the TTC buses that service both Runnymede Road and Jane St.